Hey! I’m a Featured Commentator on Huffington Post Live! Check me out on Marc Lamont Hill’s show discussing strategies for white families who are parenting children of color. Video update on London Calling Residency! Thank you & 3 more days! I’m thrilled that I am over half way to my goal! I have raised $2005.00 of $3700.00 I still need your help! Check out the video update. Thank you so much to everyone who has contributed so far!! My new manuscript and new Adoptee Artist Collaborations ahead!! I’m honored to have been invited to attend the CALLALOO Literary Journal’s 2014 Writing Workshop hosted by the Black Cultural Archives, in collaboration with The Equiano Centre at University College London, England. I have a chance to work with esteemed poet Gregory Pardlo and be in residence with fiction writers Maaza Mengiste and Jackson Brown as well as 20 other multi-genre writers selected from across the global African Diaspora. 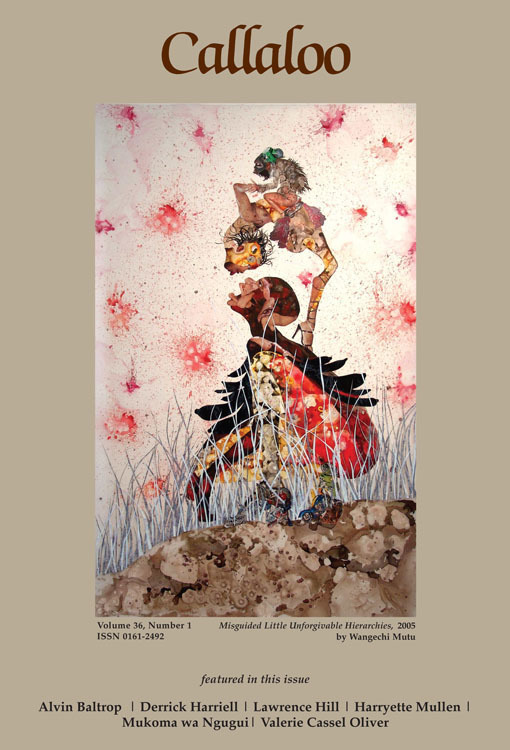 CALLALOO is a journal of African Diaspora Arts and Letters based at Texas A&M University, and ranked one of the top 15 literary magazines in the United States by Every Writer’s Resource. Ranked among such periodicals as The New Yorker Magazine, Paris Review, The Atlantic, Ploughshares, and Kenyon Review, Callaloo is edited by Dr. Charles Henry Rowell, a professor of English, and published quarterly by the Johns Hopkins University Press in Baltimore, MD. Unfortunately, CALLALOO is unable to provide funding support for the writers who are attending, so we are asked to pay our own transportation, room and board. Your individual support ensures my ability to attend this workshop, to further my artistic development and to collaborate with other artists from across the globe. 1) While in residence at the week long workshop, I will be continuing the development of my current poetry manuscript, “Anchoring the Compass”. This manuscript furthers the artistic exploration I began in my solo performance play, “Ungrateful Daughter: One Black Girls Story of being Adopted into a White Family . . . that aren’t Celebrities.” (awarded Zellerbach Foundation, James Irvine Foundation grants). This play examined my relationship to my Black and Filipino ancestry and the many historical secrets as a result of being adopted by white parents. “Anchoring the Compass” manuscript extends many of the themes I began to explore in my play, including the complexity of a hybrid, diasporic identity when one does not know one’s birth family history nor has any visible, mirrored link to a particular ancestral homeland. Many of the pieces in “Anchoring” explore how searching, speculation, story-making, mythology and invention all play a part in the development of the constantly moving, changing identities of adopted bodies. Reproductive justice, family preservation and the resistance to human trafficking are strong threads in this work. 2) to continue my research on diasporic black adoptee communities. This research is a major part of the work that is informing my new play in development, “Side Effects”. “Side Effects” is a theater/ dance / visual art project that explores the personal and geopolitical impacts of inter-country and domestic transracial adoption on Black, Asian and multi-racial bodies of color. This multidisciplinary theater project speaks to the phenomenon of global adoption, and adds to conversations around concepts of multiple diasporas and the dispersal of bodies of color for white consumption, under the guise of multiculturalism and philanthropy. 3) to make connections to other adoptee artists working, writing and performing in London for potential transnational artistic collaboration. Please check out my INDIEGOGO Campaign Here – share it with your folks who you know support writers, who support adoptee artists and who are interested in getting on at the beginning to support the development of my next multi-disciplinary play. Your contribution goes directly to assist with airfare, room and board for the duration of the workshop and for the week of collaborative artistic meetings post workshop. Your donations also go to the percentages that Indigogo and PayPal take for fees.